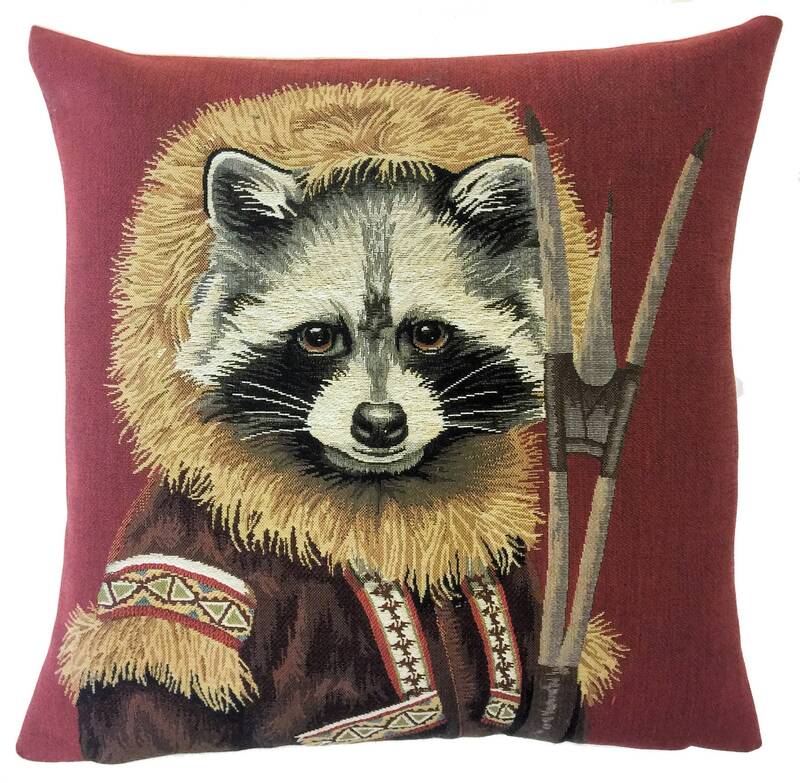 This whimsical tapestry pillow cover is one of a set of three featuring a wolf, a grizzly bear and a raccoon dressed as eskimos. It is woven on a jacquard loom in true traditional tapestry design – a craft that only a few master! The cushion cover is woven with 100% cotton thread and lined with a plain beige cotton backing. Size is 45x45 cm (18'x18'). We advise an insert of 50x50 cm (20'x20'), because we like our covers well filled. Insert not included. Closes with a zipper. Dry clean only. Handmade in Belgium. If you have any more questions, please hit the “Ask a Question” button beside the price and we will get back to you in 24 hours. Enjoy your purchase from Yapatkwa !